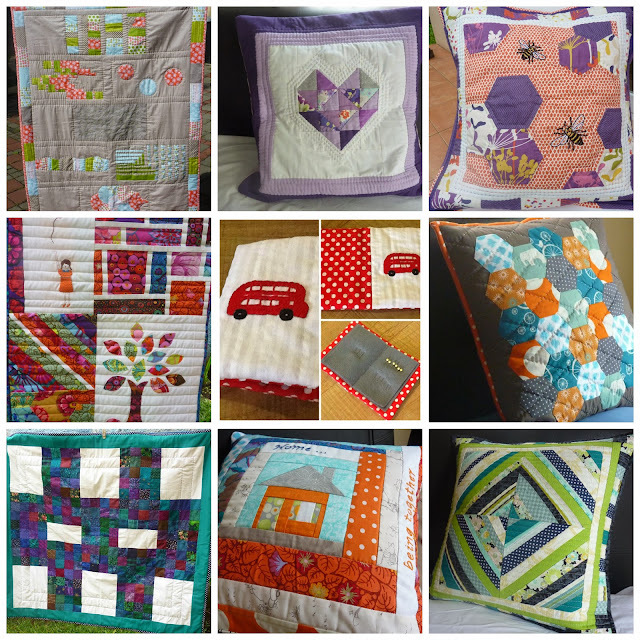 2013 was the year when I discovered my love for sewing and quilting. 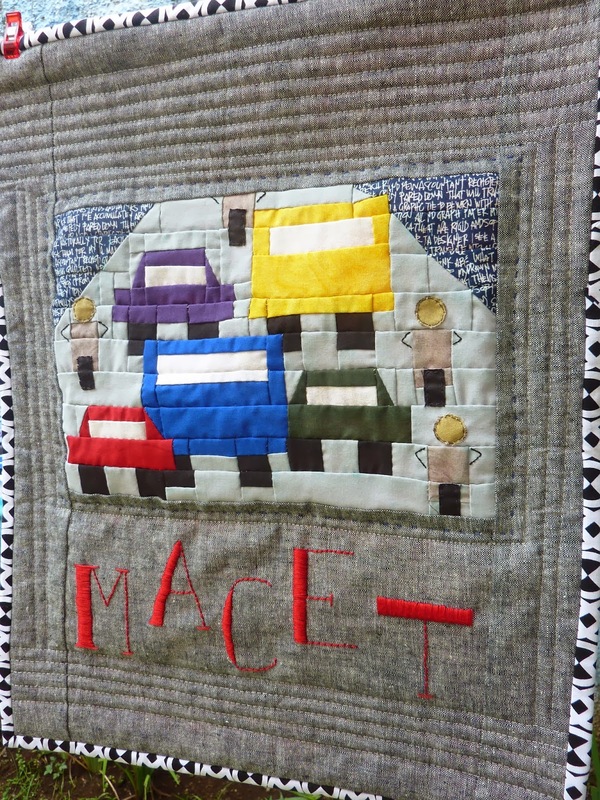 I found many friends through their blogs, joined in some quilt-a-longs and participated in a couple of swaps. I also won some lovely giveaways, and tried to send some gifts in return. I learnt to paper piece, enjoyed some EPP, managed to quilt on my machine (albeit only straight lines at the moment! ), put zippers into pouches and cushion covers and discovered that I love embroidery. 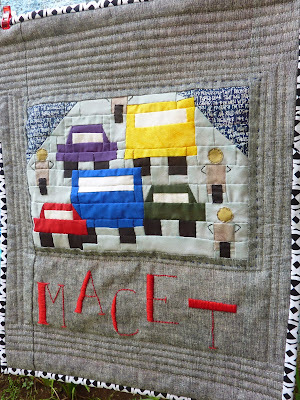 And I designed my own quilt block ... representing a big part of my life in Indonesia .. being stuck in traffic jams! 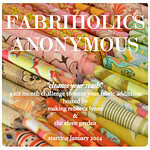 I am excited to start 2014 with my own little blog, to try to give back a little to the wonderful quilting community. Thanks for joining me. Oh, and I am claiming my blog on bloglovin! And I am honored to be your first commenter! I look forward to seeing what you have planned for 2014! Congratulations on a great year and starting a blog - I look forward to reading more! hello - looks like you had a good year and welcome to the blogging world! I'm so impressed! What a great way to start the year! Lovely to see you here. You had an impressive 2013. Lots of beautiful makes. Very impressive. Welcome to blog land! So lovely! Yay, welcome to the blogosphere! Look forward to reading! Well done for leaping in! 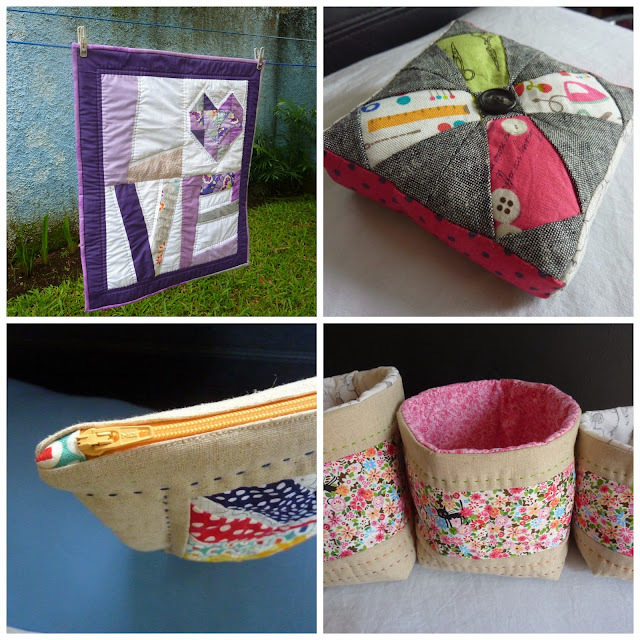 Beautiful creations, love the purple cushion. Yay! About time you had your own blog missy! I'm in the same boat as Alyce - I had no idea that you were a fellow Brit! Yay for you! You are off to a lovely start!!! Oh! How wonderful that you've started a blog. I'm looking forward to following you and being inspired, as always by your wonderful creations. What a beautiful start to a new year! You have made some beautiful projects and I look forward to seeing what you make this year! You managed to achieve such a lot in your first year. I hope my first year is as productive and as much fun. Good luck with the blog too. We seem to be starting on the steep learning curve together.